Carole Fisher is the President and Chief Executive Officer of Nathan Adelson Hospice, bringing to the position a vast knowledge of the healthcare industry, strong belief in the hospice philosophy, and a passion for the organization’s mission. As a visionary, she aspires for Nathan Adelson to be the hospice of choice, the employer of preference, and the training center of excellence. Prior to her role at the hospice, Ms. Fisher served as the Executive Director for Southwest Medical Associates (SMA). As a superior chief administrator, she was responsible for overseeing eight medical clinics. In this role, Ms. Fisher was charged with improving quality, access, and coordination of care for seniors. In 2005, Ms. Fisher was seeking to return to a mission-driven organization and accepted the position of Executive Vice President of Administration with Nathan Adelson Hospice. Because of her unique ability to be an inspiring and compassionate leader, while practicing sound business practices, the Board of Trustees quickly promoted her to President and Chief Executive Officer. Ms. Fisher has become an industry leader known for improving and advancing health care on a local, state and national level. She has broadened the continuum of healthcare, enabling adults to live with comfort and dignity at the end of life. Ms. Fisher also leads efforts to provide over $1 million dollars of uncompensated care each year. As part of her passion to assist people with limited resources, Ms. Fisher initiated a program to provide low-income patients and families with free, home-delivered meals. In addition, she instituted the Angel Tree Program designed to help families in need of support during the holiday season. In 2015, Ms. Fisher attained her Master of Leadership Arts and Sciences from the Thayer Institute. Her professional and community accomplishments have also been recognized through awards and honors including:named one of Las Vegas’ Top 100 Women of Influence 2015 and 2016 by My Vegas Magazine; the first American College of Osteopathic Family Physicians Advocacy Award 2014; 2013 Non-Profit Healthcare Hero Award sponsored by Anthem Blue Cross Blue Shield and Nevada Business Magazine; Modern Healthcare’s National Community Leadership Award – Finalist 2012; Nevada Business Magazine’s 2012 Most Respected CEOs; Women Who Mean Business 2011; named one of 20 executives in Nevada Business Magazine’s Executives Who Have Shown 20/20 Vision 2009; Women to Watch 2009; and Leadership Las Vegas 1996. 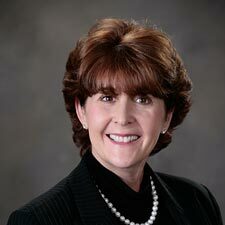 Ms. Fisher currently serves as a board member/member of the Health Insight, UNLV Health Law Program Advisory Board, Nevada Hospital Association, National Partnership for Hospice Innovation, Mountain View Hospital, Women Business Leaders in Healthcare, and Nevada Executive Women in Healthcare. Ms. Fisher also serves on the board and is an adjunct faculty member of The Thayer Institute. She is a former board member of the National Hospice and Palliative Care Organization’s Governance and Public Policy Committees; National Hospice and Palliative Care Organization’s Hospice Action Network; United Way of Southern Nevada Women’s Leadership Council; and Elisabeth Kubler-Ross Foundation.